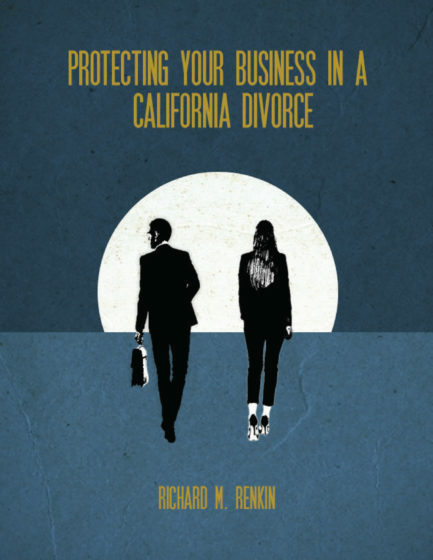 You are here: Home / Blog / Divorce / How is a 529 Savings Account Handled in a California Divorce? How is a 529 Savings Account Handled in a California Divorce? Establishing a 529 savings account is a responsible choice for many parents. Having a 529 savings account not only provides tax benefits for any money put into the account, but for many parents it also provides a structured way to put away money for college on a monthly or yearly basis. Money in a 529 savings account belongs to the parent, not the child. Note that we said parent, not parents: Even if parents jointly contribute to an account, the account still only has a single owner. Money can be withdrawn from a 529 savings account for non-college-related expenses. In fact, parents can still use money in a 529 savings account for anything they want – they just have to pay a 10% tax penalty. The beneficiary of a 529 savings account (i.e. your child) can be changed by the account owner (i.e. to a child from your former spouse’s second marriage). With these considerations in mind, if you (or your spouse) has a 529 savings account for your child, how should you handle the account during your divorce? Although a 529 savings account may belong to a single parent, for purposes of a divorce, an account started during the marriage will generally be considered community property just like any other physical or financial asset purchased or accumulated after the spouses said their vows. An account started prior to the marriage may qualify as separate property; however, if additional contributions were made during the marriage, then at least a portion of the account would generally qualify as community property as well. As community property, a 529 savings account is subject to division in a California divorce. This means that the account – or at least its value – must be divided equally. While splitting a 529 savings account is an option, more often, divorcing spouses will agree that one parent (usually the custodial parent) will keep the entire 529 savings account in exchange for giving up his or her rights to other community property. However, while this may be the simpler approach, it has the potential to lead to some undesirable consequences. For example, once the divorce is over, there is nothing to stop the sole owner from liquidating the account or changing its beneficiary. Although this may seem unlikely, it has happened before, and financial strain (or undue influence from a new spouse or partner) can lead people to make choices that most would consider inadvisable. To address this issue, divorcing spouses can either go back to splitting the 529 account, or they can include terms regarding the use of 529 assets in their settlement agreement. A third option is to incorporate both of these elements – agreeing that each spouse will control a portion of their children’s college savings and that both spouses will only use 529 funds for their children’s tuition and college expenses. Whichever option spouses choose, the key is to make sure that they have a clear understanding of the implications involved. What if We Still Need to Save More to Put Our Children Through College? If you and your spouse are still saving for your children’s college, it may be desirable to address future 529 contributions in your settlement agreement as well. Child support typically does not cover the costs of higher education, so divorcing parents must make specific provisions for college savings and expenses as part of the divorce process. If you live in the North County area and would like more information about how to ensure that your divorce does not impact your children’s ability to go to college, we encourage you to contact us for a confidential initial consultation. To request an appointment with divorce attorney and Certified Family Law Specialist Richard M. Renkin, please call 888-837-3564 or inquire online today. Paying Child Support While in College Should Divorced Parents Vacation Together?